I just returned from a much deserved family vacation to God’s own country. My duties for any vacation include planning the ‘tech’ part of it – this includes ensuring that all the required gadgets are with us along with chargers, adapters, cables and doodads that are needed by these gadgets. Over the years, I believe I have come close to mastering the art of travelling with tech. Here are my picks for 5 things you must take with you on your next vacation. The gorilla pod can hold large phones like a boss – seen here holding the OnePlus 3t with a case. 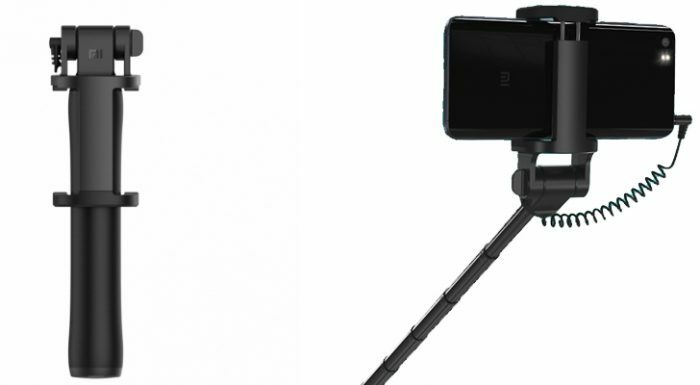 The Gorilla Pod is a flexible little tripod for your cameras and mobile. Don’t mistake this for the large tripods that we are used to seeing. 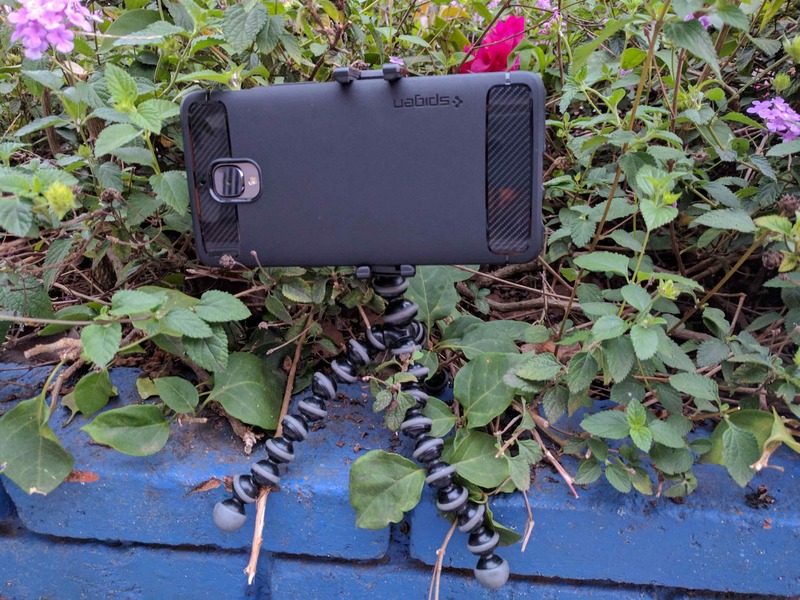 The Gorilla Pod can flex, bend, and even wrap itself around tree branches. All you need to do is set a timer for the camera and run back to your position. Beats having to ask strangers to take photos that cut your head off. The original Gorilla Pod is a tad expensive but well worth it. Amazon does have some similar tripods at much more affordable prices but I cannot vouch for their quality. You can alternatively buy a throwaway one from the guy selling them at the traffic signal. Before I recommend a selfie stick, let me mention that I detest this invention and I judge every person who uses them. Having said that, I figured if I had to try one out might as well go for a good one. So I ordered the Mi Selfie Stick from Xiaomi. The build quality was typical of them – that is to say this is extremely well made. It is a regulation selfie stick with a nice grip, and the phone holder was able to accommodate the OnePlus 3T. The selfie trigger of course plugs into the headphone jack – and Xiaomi was clever to use a coiled ‘phone type’ wire for it. If you must buy a selfie stick, I can’t think of a better one that this. We do not drive around with a can of petrol in our car boot. But almost everyone has a power bank tucked away in their backpacks. I have seen people with their power banks perpetually connected to their phones too. Yikes! For a vacation I would recommend a power bank that can last you multiple charges – you do not want to miss out on hitting the beach because you had to babysit the phone while it was charging. Go for a 20,000mAh powerbank like this one from Mi. Its a bit on the heavier side, but well worth it. Update: Some readers have written-in saying that power banks are now not being allowed in check-in baggage. So ensure that yours is in your hand baggage. Confession time. More than half of the storage on my phone is filled with videos of nursery rhymes, Peppa Pig, Ben and Holly and so on. If you are travelling with kids, I bet you have a phone or tablet full of such media too. But what if your phone doesn’t have enough space for a complete season of SpongeBob Squarepants? (This one is for me though, not the kids). These handy USB OTG drives can plug into your PC and also your phone’s microUSB port (the charging port). Filling up one of these with media also ensures that all your entertainment is not tied down to a single device. Plug it into any of your phones or tablets and get hours of entertainment. We always take my Bose Soundlink bluetooth speakers on vacations and this time was no different. Listening to my favourite tunes while sailing the backwaters was probably one of the best parts of the vacation (right after the amazing seafood). Do invest in a really good bluetooth speaker and you will not regret it. Bose admittedly is expensive but the have a good range across budgets. Most modern phones are switching over to USB Type-C for charging. If your phone too has USB Type C instead of the older (but still widely used) MicroUSB standard, you would do well to take an adapter that would let your phone be charged with a MicroUSB cable (although much slower).